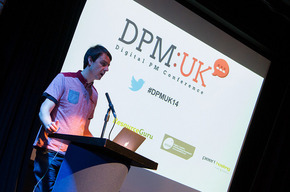 The only conference dedicated to digital project management in the UK, DPM UK, is returning to Manchester on 29th January 2015. Manchester-based Prolific North has launched its first-ever annual exhibition event, ProlificNorthLive. The one-day 1800 sq. ft.
Science Science underpins so much of what we do, how we do it, where we do it and why. The conference will explore some of these areas with a combination of presentations, panel discussions, breakout andinteractive sessions. The UK s only Falling Walls Lab takes place in Manchester next week. The event will see researchers from across the country share their inspirational visions with a panel of experts. Then this Open Evening, and keynote presentation by renowned cyber security specialist Dr David Day, is going to be really relevant for you February 5th is Safer Internet Day and what better day to launch our newest course - Develop Cyber - starting February 25th.